Outlook to MSG Converter is the best or powerful application that securely performs to recover emails from PST file in order to Export PST to MSG File. Software has ability to convert selective Outlook folders, sub-folders or emails along with attachments into MSG file that can be directly open in MS Outlook Application. No requirement of installing MS Outlook application on machine to perform PST to MSG Conversion task. Allows convert multiple emails from outlook file to MSG file. Not requirement of installing MS Outlook to convert PST to MSG. 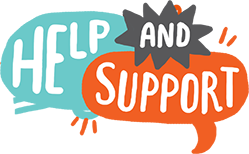 Support both ANSI & Unicode PST file to convert data into MSG. This is well and designed solution, use this PST to MSG Conversion Software that supports both corrupted or healthy PST file to convert data into MSG file along with emails, contacts, calendars, task, notes and appointments. PST to MSG Conversion Software helps users to convert selective single and multiple emails from PST file and restore them into MSG file that can be directly open in MS Outlook application. PST to MSG Conversion Software allows users to perform the conversion of PST to MSG with maintains data. It has ability to convert multiple emails from outlook file and restore them into MSG file with emails, contacts, calendars, task or appointments. PST to MSG Converter software provides the facility to convert selective folders, sub-folders or emails with attachments into MSG file. Make selection of outlook items that required to convert into MSG file with maintains all data integrity. One best feature of the PST to MSG Converter is its ability to support both ANSI PST and Unicode PST file to convert its data included emails, contacts, calendars and appointments into MSG file that can open in MS Outlook application. Outlook to MSG Converter Software quickly repair corrupted PST file and convert PST to MSG file. It also shows the complete preview of PST emails, contacts, calendars, task, notes and appointments to satisfied users. 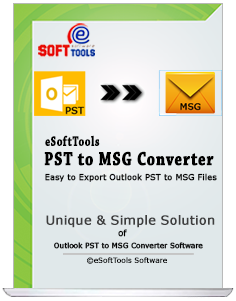 To download PST to MSG Converter Software, there no requirement of installing MS Outlook application on machine so that without outlook users can easily Export PST to MSG file with maintains all data integrity or preview items. No need of worrying about Outlook PST file data because the PST to MSG Converter Software maintains all folders, sub-folders structure or emails properties- to, bcc, cc, time, subjects and from, embadded images and zip attachments. Have Demo Version of PST Export Tool - A demo version provided with the intention to solve user’s problem related to software working process, all users are capable to use the demo version free-of-cost and examine pst to msg conversion process. Demo allows save 15 emails per outlook PST folder into MSG format. Can I convert selective emails from outlook PST file to MSG? Yes, you can convert the selective PST folders or emails into MSG file with software. Do I need to install Outlook application on machine to convert PST to MSG file? Can I get the preview of PST emails conversion into MSG file? Yes, the PST to MSG Converter software shows complete preview of PST file items like- emails, contacts, calendars to MSG file. Yes, the software supports both ANSI and Unicode PST file to convert data into MSG file that directly open in MS Outlook. Supported all Outlook versions including 2016, 2013, 2010, 2007, 2003 and below versions. Thanks you so much for providing the best PST to MSG Converter Software that securely recover emails from outlook PST File and convert them into MSG file along with emails properties and attachments………..